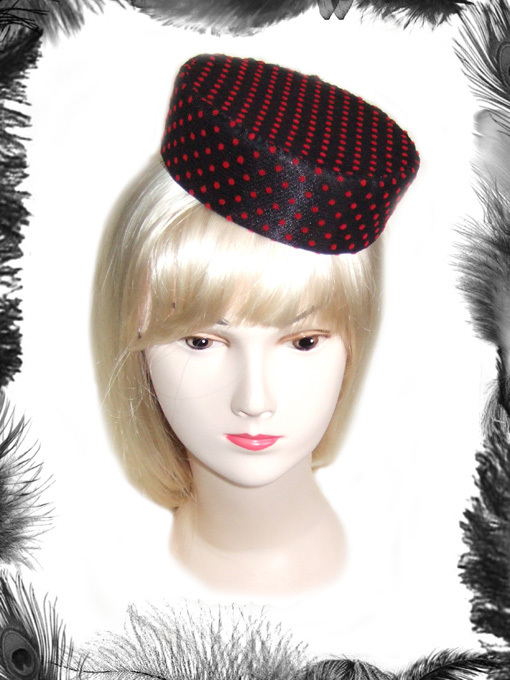 Black Satin Pill Box hat with flock polka dot lace. 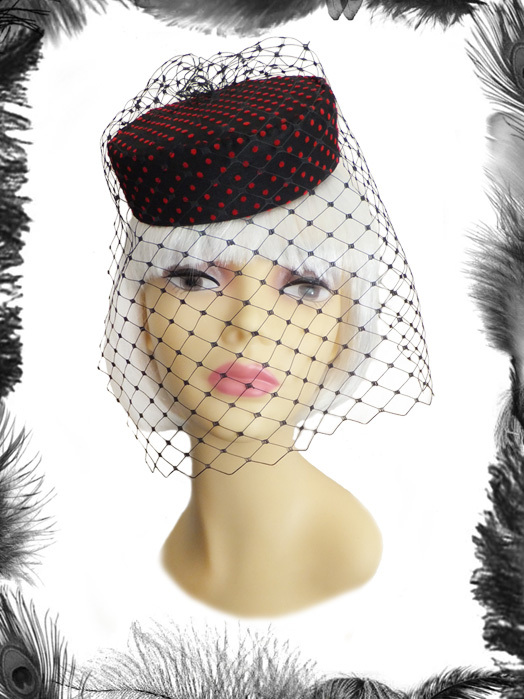 This is a very Glamorous and Classy little number, perfect for weddings, parties or even the races. Professionally Hand Made by us. Stays firmly on your head with hat elastic. 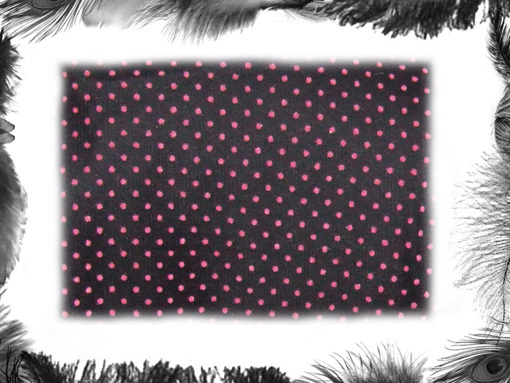 Also available in Pink on black, white on white or Black on black flock polka dots. 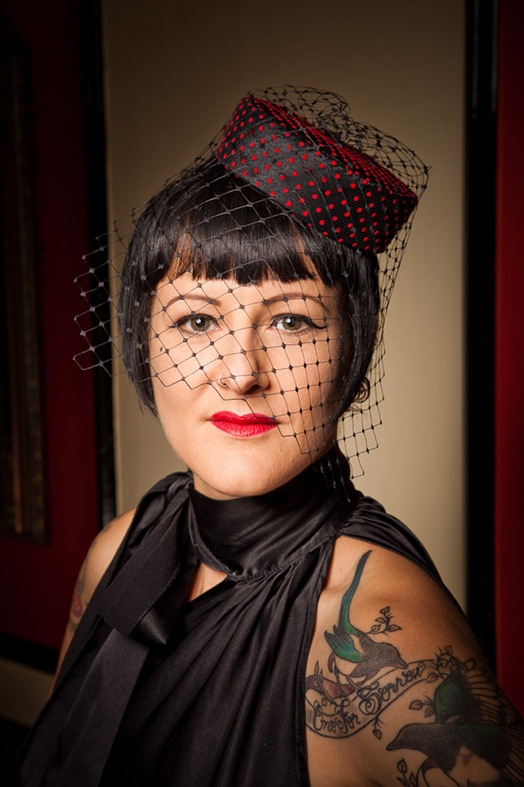 Available with or without black merry widow veiling. Another hand crafted Design from EmeraldAngel!